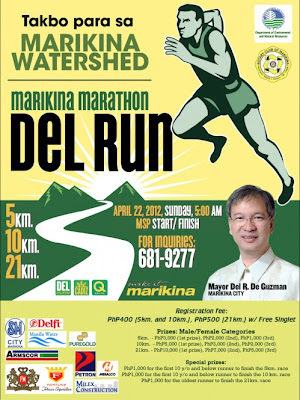 Over 3,000 participants joined the "Takbo Para sa Marikina Watershed" Marikina Marathon dubbed "Del Run" last April 22, 2012. Here's a GMA news feature from the event. Congratulations to Bb. Pilipinas Candidate #25 Chloe Zanardi for winning the Miss Friendship special award at Bb. Pilipinas 2012. 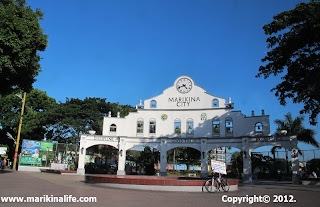 Chloe, Marikina City's representative to the Binibining Pilipinas 2012 beauty pageant won one of the original popular special awards given in pageants, Miss Friendship. Binibining Pilipinas 2012 was hosted by Iza Calzado and Xian Lim with Venus Raj, Shamcey Supsup and Georgina Wilson. Congratulations to all the winners! 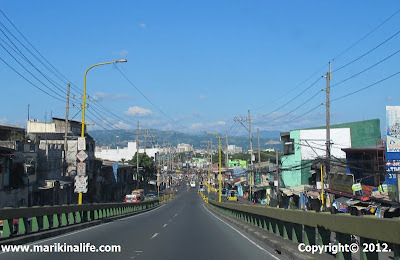 The Barangka Flyover is one of two major entry points to Marikina City from Quezon City. From Quezon City, Aurora Blvd. splits into A. Bonifacio Ave to the left and Marcos Highway to the right. April 22, 2012 at 5:00am. Starting point will be at the the Marikina Sports Park. Proceeds will go to the reforestation of the Marikina Watershed as each registered marathon runner will be able to help produce some 10 tree seedlings for planting in denuded Marikina Watershed, which is the city’s first line of defense in preventing floods. There will be a 5K, 10K and 21K distance run. The categories are also divided to Male and Female Divisions. Cash prizes shall be awarded to the runners first to complete each category. In the 21km category, first placer shall receive PhP10,000; second- PhP7,000; and third- PhP5,000. For the 10km category, first place- PhP5,000; second- PhP3,000; and third- PhP2,000. While for the 5km, first place- PhP3,000; second- PhP2,000; and third- PhP1,000. There are also special awards to be given away like PhP1,000 each for the first below 10 years of age to finish the 5km and 10km race. Meanwhile, PhP1,000 shall also be given to the first 60 years old and above to finish the 21km race. Registration fees are P400. for 5K and 10K and P500. for 21K. Registration is available at the following locations: Marikina Sports Center, SM Marikina, Marikina City Hall, Marikina Rotary Club & Graceland Marikina. For more details regarding this fund raising run for a cause, contact Gil Munar, Del Run project director at 681-9277. The Del Run is organized by the Rotary Club Zone of Marikina and the Marikina City Government and sponsored by Meralco, SM Marikina, Manila Water, Philip Morris Fortune Tobacco Corporation, Arms Corporation, Delfi Foods, Puregold, and Millex Construction. Update: Over 3,000 participants ran. Here's a GMA news feature from the event. 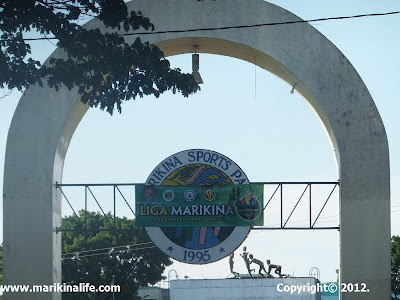 A Liga Marikina banner at the Marikina Sports Park. Support Miss Chloe Zanardi., the official candidate and Marikina's proud representative to the Binibining Pilipinas 2012 Pageant. 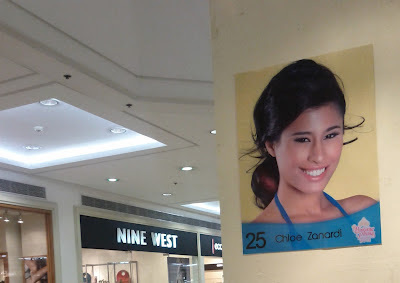 Chloe is 24 years old, 5'6" tall, and a resident of Barangay Concepcion Dos, Marikina. Born from an Italian father and a Filipina mother, Chloe has been going back and forth to the country since she was a kid. Despite growing up in Milan, she managed to remain in close ties with her relatives in the Philippines. And when she's here for a visit, she's always game to try to anything and pleasant to everyone, adapting to our practices as she goes. She enjoyed immersing herself in the Filipino culture, and her being adept to speaking in Tagalog can be a testament to that. She has appeared in a number of print ads yet she remains to be grounded, a definitely Filipino trait. To vote for Miss Chloe Zanardi as the People's Binibini 2012, text BINIBINI 25 and send to 2331 for Globe,TM & Sun Cellular subscribers and 231 for Smart & Talk N Text subscribers. Each text costs P2.50 for Globe, TM, Smart & Talk N Text; P2 for Sun Cellular. Voting ends on April 15 at 6pm. For more details on Binibining Pilipinas, visit http://www.bbpilipinas.com. To know more about Chloe, visit her official community Facebook page at https://www.facebook.com/ChloeZanardi.